Losing a tooth can be devastating, but dental implants offer an excellent solution. Dental implants are special posts that replace missing teeth or support a denture. The implant functions as the root of the tooth and depending on the number of implants placed, it can be used to replace everything from a single tooth to a full set of teeth. Implant dentistry procedures provide state-of-the-art restorations for our patients. Implant-supported restorations look and feel completely natural. Dental implants allow patients to function and speak naturally. 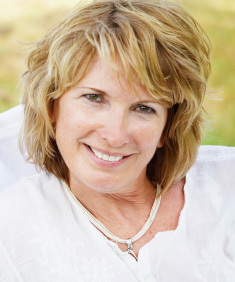 An implant supported restoration can restore your confidence. 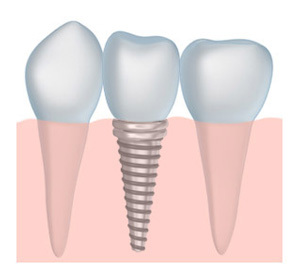 Dental implant-supported restorations function like regular teeth. Dental implants are cared for just like natural teeth. A missing tooth can be replaced without cutting down the adjacent healthy teeth, as required when replacing a bridge. Dental implants can provide a more stable base for a denture, especially the lower jaw. Dental implants help to preserve and maintain healthy jaw density in the area of the missing tooth. During an implant dentistry procedure, a dental implant made from a titanium alloy is inserted into your jawbone where your tooth was lost. The implant functions just like your tooth roots. After this first implant dentistry procedure, patients are given time to heal. During this period, the dental implant becomes integrated with your jawbone, providing a sturdy foundation for your crown. After the implant has finished integrating with your jaw and you’ve been given adequate time to heal, the abutment is attached to the dental implant, and the crown is secured on top. Once the process is complete, you can enjoy your new tooth and restored smile. Dr. Rosenfeld understands how hard it is for his patients who have lost their teeth, and is very happy to offer this procedure to help. To find out if an implant dentistry procedure is right for you, you can call us at our Solana Beach office. You can also contact us here.